Choosing the right locations is the first step to any successful shoot – whether it’s a promotional video or the next instalment in one of the world’s biggest movie franchises. So when the creators of Star Wars: The Force Awakens went scouting for locations, the shortlist of candidates had to be spectacular. The first rule of location scouting is to select a site that suits the setting of your story. 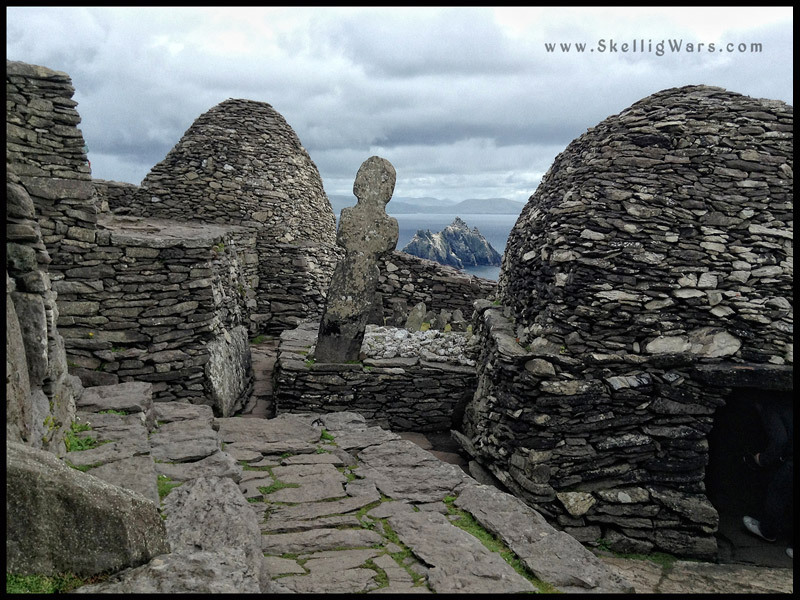 Star Wars: The Force Awakens production referred to Skellig Michael as “Magic Mountain,” in reference to the Six Flags theme park outside Los Angeles, with locals calling it “The Jedi”—a good description for the place where Luke Skywalker is believed to be hidden away, meditating in exile. Nowhere else in the world would the Star Wars creators have found such an exquisite collection of monastic dwellings perched high above the ocean. For The Force Awakens, J. J. Abrams wanted as clear a day as possible for the shoot to suit the film’s positive ending, and Skellig Michael duly obliged. Once Rian Johnson moved in for Star Wars VIII and the story developed, however, bad weather was preferred to suit the Original Trilogy form and the dark ending required. As anyone who has visited knows, Skellig Michael is heavenly on a good day, but it can get positively apocalyptic when the weather turns. Outdoor lighting conditions can be challenging for filmmakers, as outside illumination changes constantly—and when you are on an exposed rock in the middle of the Atlantic Ocean, they can shift from searing brightness to deep shadow and back again even more quickly. These conditions proved challenging for the Star Wars film crew, but added to the overall atmosphere of the shoot. Can you think of any other reasons why Skellig Michael was chosen as a Star Wars location (not once, but twice!)? We’d love to hear them in the comments section below. Main street, Killarney, Co. Kerry, Ireland.